Bel Air Gutter & Siding is a full service contractor when it comes to gutters, gutter services, siding installation and repair, and roofing. If your gutters just need a cleaning, we can handle that. We also repair rain gutters and downspouts and we install gutters and downspouts as well as installing gutter guards and snow guards. We also do replacement windows and shutters. In addition, we do roof repairs and roof replacements as well as original roof installations. Vinyl Siding - If you haven't looked at siding in a while, you will be amazed what is available. We use CertainTeed vinyl siding and Inspire composite siding. Their Cedar Impressions is one of our favorites. You can have vinyl siding that look like cedar shake shingles. Or you can have horizontal siding with a wood grain to look like clapboard. And all in a range of colors that you don't have to worry about painting. To find out more about your Bel Air vinyl siding options, give us a call to be your Bel Air MD siding contractor. Roof Replacement & Repair - We can repair a roof damaged by the severe storms we have been getting and work with insurance companies on a regular basis. We also replace roofs and do new roof installations. We do asphalt shingle and designer shingle roofs, metal roofs, flat roofing and cedar shake roofs. 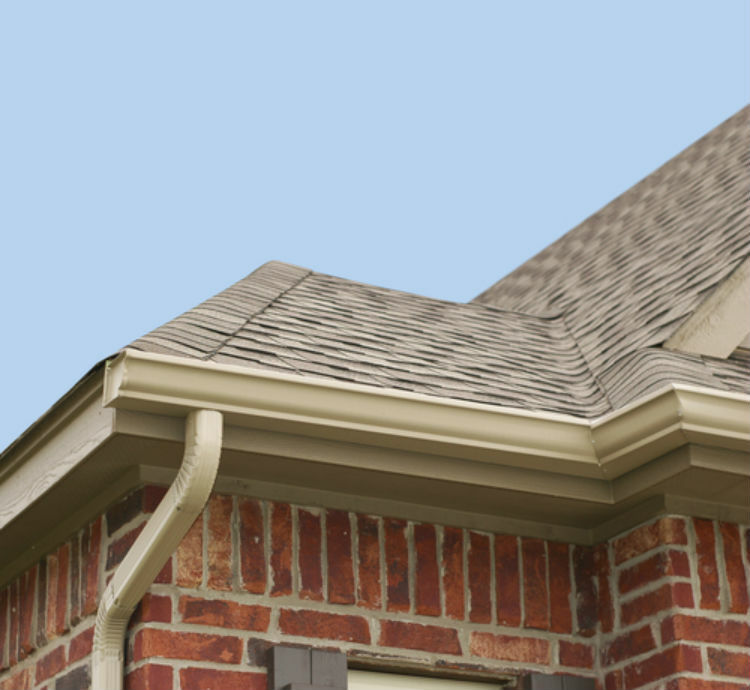 Gutter Replacement & Installation - Whether it is residential or commercial, we can help. It is important to find a company that knows how to design a gutter system so that the gutters and downspouts work properly in the heaviest of rains. We will incorporate your needs and style wishes. Gutter Repairs - We can frequently repair aging gutters and save you the expense of replacing your guttering system. So let us evaluate the situation first. Of course, if the gutters were damaged by a tree branch or snow and ice, we can take care of that. ​Gutter Cleaning - Should be done a minimum of once a year and twice a year if you have trees near the house or other building. Regular cleanings will extend the life of your gutters and it allows you to catch problems when they are small and easier and cheaper to fix. You will be pleasantly at how inexpensive gutter cleaning is. Snow Guards - These are tabs placed under the shingles above the gutters to hold snow and ice in place so they won't slip and damage the gutters. It also helps prevent someone from getting hit when it slides off the roof. 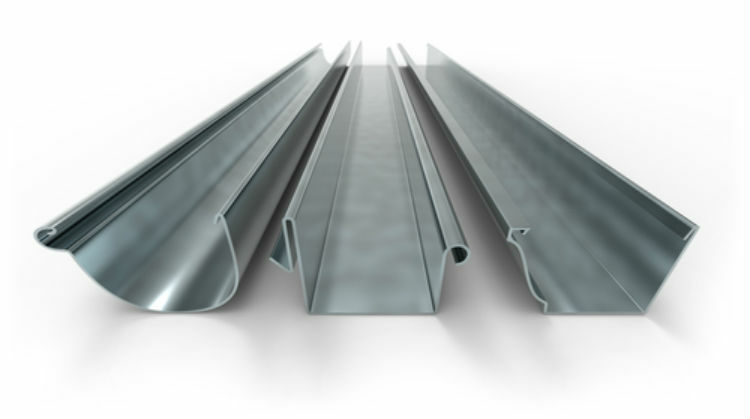 Gutter Guards - These keep most of leaves out of the gutter so they don't get blocked by leaves and other debris. Even with these you will still need to sometimes get the gutters cleaned. Replacement Windows & Shutters - I you have drafty single pain windows, we also do window replacement with double or triple pained windows that are much easier to swing out and clean or to repair if necessary. We also install shutters which gives a house a more elegant finished look. We have worked with many homeowners, but we do a lot of commercial work too and so we deal with architects, contractors, builders and rehabbers on a regular basis. So whether the job is for your home, an office building, warehouse or other building, we look forward to working with you. Whether you would like seamless aluminum gutters or copper gutters, Bel Air Gutter & Siding regularly does these installations. It is important that the gutters are properly installed or it can cause problems for your home. If not installed correctly, you can get streaks and water damage from water overflowing and running down the wall. When it is a light rain, no problem, but with the stronger storms we have been getting you need to take a number fo factors into account such and the number and placement of downspouts, the size and pitch of the roof, and the size of the gutters and downspouts. By having the right guttering system, another positive is that it helps to keep the basement dry. Sometimes this is caused by the landscaping trapping or moving water towards the house. That we can't help with. But, as long as that is not the problem, our design for the gutters and downspouts will move the water away from the house quickly so there is much less chance of it going into the foundation. Unless you are very young, this will probably be the last gutter replacement you ever have to do since the aluminum gutters will last several decades and copper gutters around 50 years. It may sound obvious, but downspouts are critical in designing and installing rain gutters. Of course, without downspouts, where would the water go. But the question is, given a length of gutter, how much can a downspout handle? If the correct number are not installed at the proper intervals or the diameter is too small, it can be almost as bad as not having downspouts at all. If not done correctly, in a strong rain, there can be too much water to go down and the excess will just flow over the sides of the gutter. Gutters clogged with leaves can have the same problem. That is why it is important to have your gutters cleaned regularly. Bel Air Gutter & Siding can set you up on a regular schedule for gutter cleaning so you don't need to remember it. Cleaning the gutters and the downspouts is important to prevent several problems. This is especially true if you have large trees nearby, especially if they overhang the house. Bel Air, MD and the surrounding areas have lots of trees which is beautiful, but can cause issues for gutters. ​​If the gutters have leaves and other debris in them, the gutters won't work as designed and the water won't flow right. Water overflowing the gutters can rot the fascia board behind the gutter which is what the gutter is attached to. It might also have an impact on the eaves and edge of the roof. When that happens, you need to take the gutters down, replace the fascia board and make any other repairs needed and then put the gutter backup. Cleaning the gutters is a lot cheaper. This should be done once or twice a year depending on your situation. 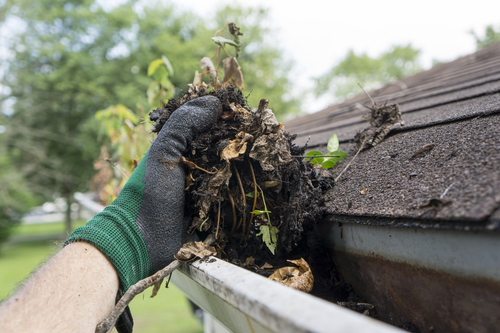 It takes surprisingly little time for plants and trees to start growing once the gutters and downspouts get clogged with leaves and dirt. This obviously causes even more problems with water flow. Depending on the type of plant, the roots can potentially extend under the shingles and do some damage although this would take a while. In general, people don't look up unless something catches their attention. Remember to look up at your gutters once in a while. Besides any issues with the roof, if the water is flowing down the sides of the house, it can more easily penetrate the house if there are any small holes or cracks. It can also leave streaks so that your home doesn't look as nice. Because the water is not coming down the downspouts, it is more likely to stay by the house and leak into the basement and cause more damage. Would you like to know one of the best ways to save money on gutter repairs? Spend a little bit of money on cleaning your gutters. The cost to clean your gutters is so minimal, but it can extend the life of your gutters and allows you to catch things early before they get bad, and expensive to fix. However, sometimes s--t happens. It could be a tree branch falling and crushing a section of gutter. Or it could be a wind storm or more likely ice and snow. A few years ago we had a storm where we got 4 feet of snow. I doubt you have forgotten it. It did a lot of damage to a lot of gutters. Not so much at first, but as the snow melted some and got denser and then started to slide off the roofs, it frequently took the gutters with it. Gutters are held in place by brackets and sometimes these come loose or get broken. These are easy to fix and can be done at the same time as a gutter cleaning. Whatever type of material your gutters are made of, we can do repairs to them. 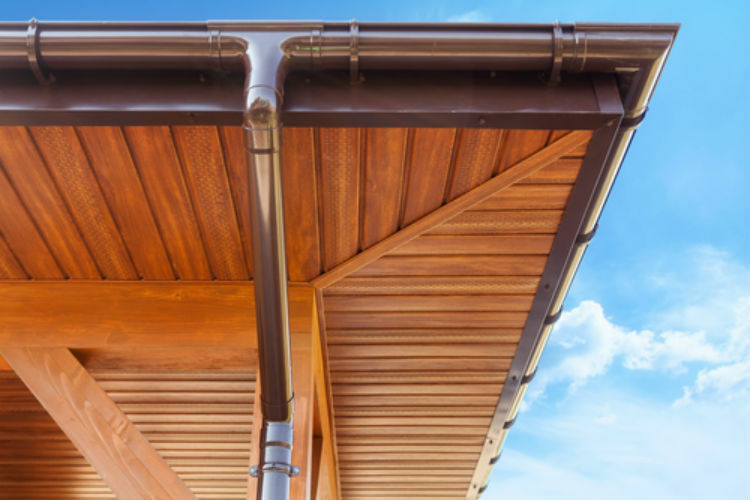 The materials that gutters and downspouts are made of include copper, aluminum, galvanized steel, wood, and PVC. Sometimes if the damage is minor, people don't get their gutters fixed right away. But, it is important to get gutters repaired in a timely manner because it is not expensive to do then and can cause other problems. These include some of the issues mentioned above such as streaking and staining the side of the house, rot damage, and water along the foundation which can cause problems in the basement. Gutter guards are a great invention, but not perfect. Although they keep out most leaves and debris, your gutters do need to be checked periodically to see if they need to be cleaned. Nevertheless, we do recommend them and can install them for you. We use Leaf Relief which we feel is the best on the market. It will drain 29.7" of rain per hour which is almost 3 times the heaviest rainfall in recorded history. Plus there is a 25 year warranty! Snow guards come in different styles but are the tabs that are attached under the shingles just above the edge of the roof. One part of the tab sticks up and prevents snow and ice from sliding and damaging gutters. It also prevents injury to people. Despite insulation, heat rises through the roof and melts the snow from below. This makes a slippery sheet of water that can cause a large amount of snow and ice to slide off the roof at one time. This can damage the gutter, but if it hits a person, it can potentially put them in the hospital. The snow guards keep the snow from slipping. Stop a large section of snow and ice from sliding off the roof and potentially damaging property, cars or hurting people. Decrease the chance of ice damming, which can cause water damage. 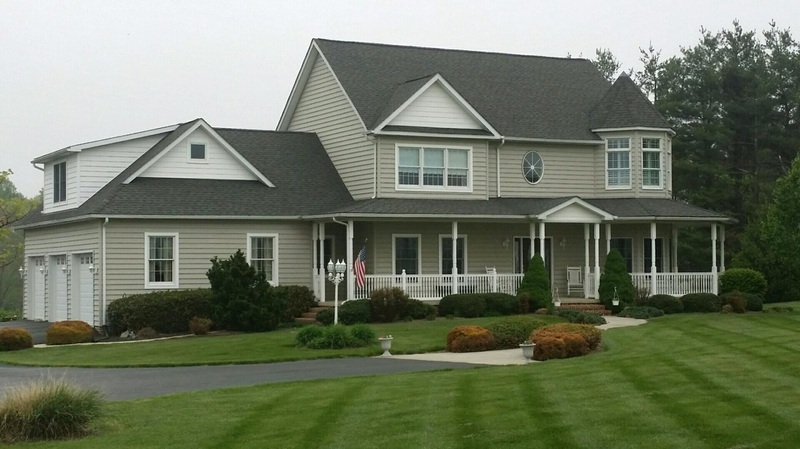 Bel Air Gutter & Siding is a siding contractor with years of experience. 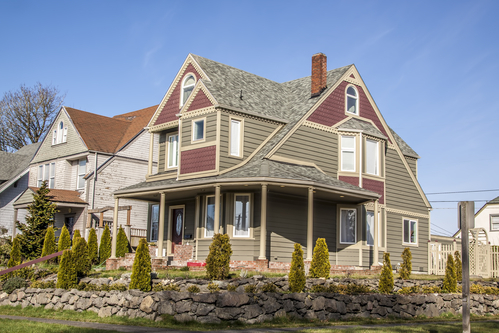 We can repair your siding or install new siding, whether replacing the siding on an existing home or putting siding on new construction. 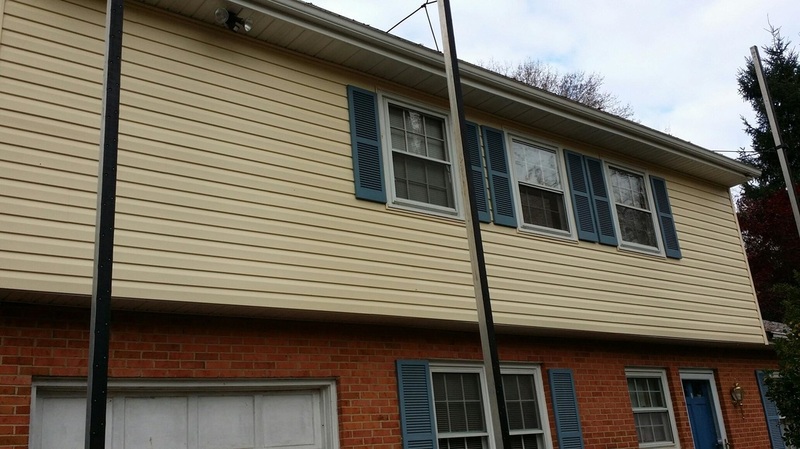 We use CertainTeed unless you specify something else and many people have really liked the Cedar Impressions vinyl siding which looks like cedar shake siding or clapboard style vinyl siding. It is getting harder to tell that it is vinyl siding unless you get close to it. You can really make your house look fantastic by combining different colors and shapes of siding. You could do most of the house with a cedar shake look with squared off shakes and then to a complementary color in the roof peaks with vinyl siding that looks like rounded cedar shakes. The contrast is really eye catching and increases the value of your home. So, if you are looking for a siding company, give us a call. We can also do replacement windows. Bel Air Gutter & Siding not only cleans, fixes and repairs gutters, repairs and installs vinyl siding, we also install replacement windows and can replace or install shutters. If a house doesn't have shutters, you would be amazed at the difference in how it looks with shutters. (That is a good amazed.) Having new windows can save you a lot on heating and are much easier to clean and service. We can install wood windows, vinyl windows or fiberglass windows. You can have dual or triple glazed glass. Between each layer of glass is either a vacuum or argon gas to reduce heat transfer and make the window effectively more insulated. If you need window replacement or new shutters, give us a call. Bel Air Gutter & Siding does a variety of roof installations and roof repairs. We work with contractors and builders who are building new homes and subcontract to install the roof. We also work with individuals whose roof has seen better days. You can put up to two layers of roofing on but you can't put a third on. At that point the shingles need to be removed and a new set of shingles put on. If you only have one layer of shingles we can put another layer on top which is less expensive. We can tell you whether a repair will work or if it is time for a new roof. Most of the roofs we install are asphalt shingle since that is what most homes have. However we do other types as well. We cover most of Howard County and do jobs in Baltimore as well. Following is a list of communities we service, although it is not a complete list: Bel Air, Maryland, Forest Hill, Aberdeen, Havre de Grace, Jarrettsville, Churchville, Baldwin, Falston, Pleasant Hills, Edgewood, Abingdon, Belcamp and Creswell.